FOXBusiness.com gets an inside look at Carnival Cruise Line/Cunard's Queen Mary 2, docked in Brooklyn, NY. The iconic Queen Mary 2 just underwent an $132 million overhaul. But, before the ship sets sail, FOXBusiness.com jumped on board to get an inside look at the newly renovated luxury cruise ship. She launched in 2004 as the largest and most expensive ocean liner ever built. Now, “the ship is 12 years old, and we want to bring her up to date,” said David Noyes, Cunard Line CEO. Thirty staterooms and 15 single staterooms for solo passengers were added, making the already massive ship a little bigger, and increasing its capacity to 2,961 guests. Different styles of rooms are also available — for more lavish preferences, duplex suites (spiral staircase and all) will set you back about $40,000. You can forget about a “ruff” ride, because with more and more people traveling with their pet, the Queen Mary 2 made sure not to leave out our four-legged friends. The ship expanded their kennels to accommodate animal lovers – the only cruise liner to offer such a service on each Transatlantic Crossing. The QM2 docked in Hamburg, Germany, where more than 5,000 men worked around-the-clock for 25 days to complete the remastering, marking the most extensive renovations in the history of Carnival (NYSE:CCL), the parent company of Cunard Line. However, the company is not the only cruise liner to make changes. The industry as a whole has seen a major upheaval in demand, increasing 68% in the last 10 years. And, other ships are taking note to the trend – 27 new ocean, river and specialty ships were scheduled to debut in 2016. As of last year, there were 471 cruise ships worldwide. Carnival and Cunard’s ships look to continue to take a big chunk of the $39.6 billion in revenue that makes up the cruise industry. 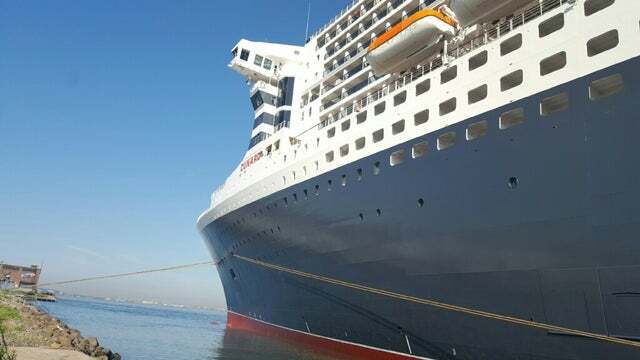 And, the “brand-new” Queen Mary 2 will test the waters.